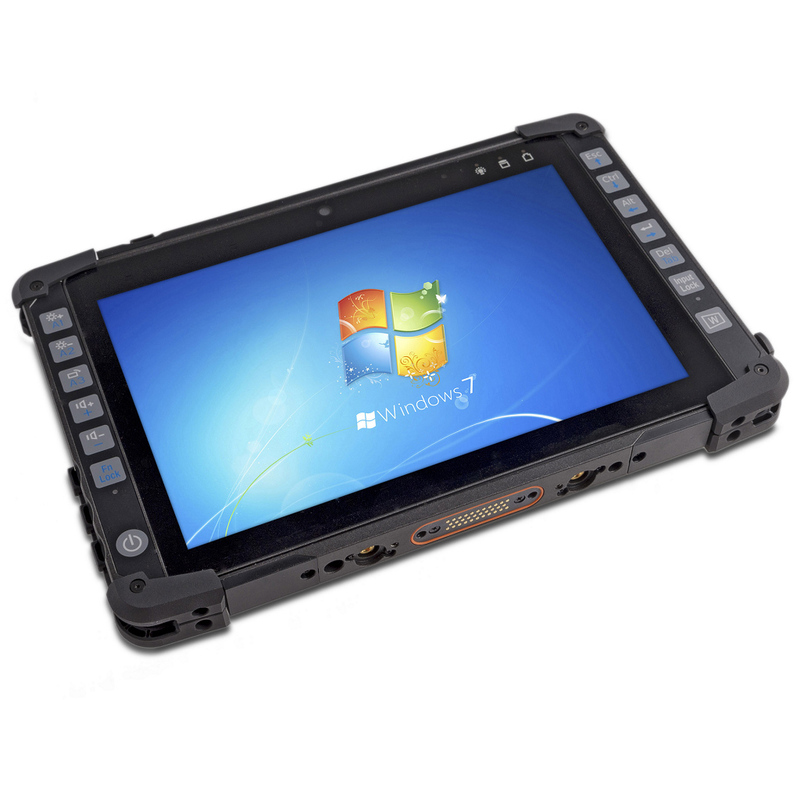 The DS11 10.1" Silm type fully rugged Tablet PC is the first tablet in MilDef Crete’s new design philosophy following the design and ruggedness of the DS11’s big-brother; the RS11. The DS11 puts emphasis on low weight, a powerful Intel i7 CPU, and a fully rugged design. The DS11 features a high-brightness 10,1”1920x1200 high resolution optical bonded LED LCD with Capacitive multi-touch display, CNC milled lightweight aluminum chassis and a wide selection of customization options that ranges all from military connectors to resistive touchscreen and wireless connectivity options. When the going gets tough out in the field you don’t have to worry, the DS11 is IP65 rated as well as certified to both MIL-STD-810 and MIL-STD-461.